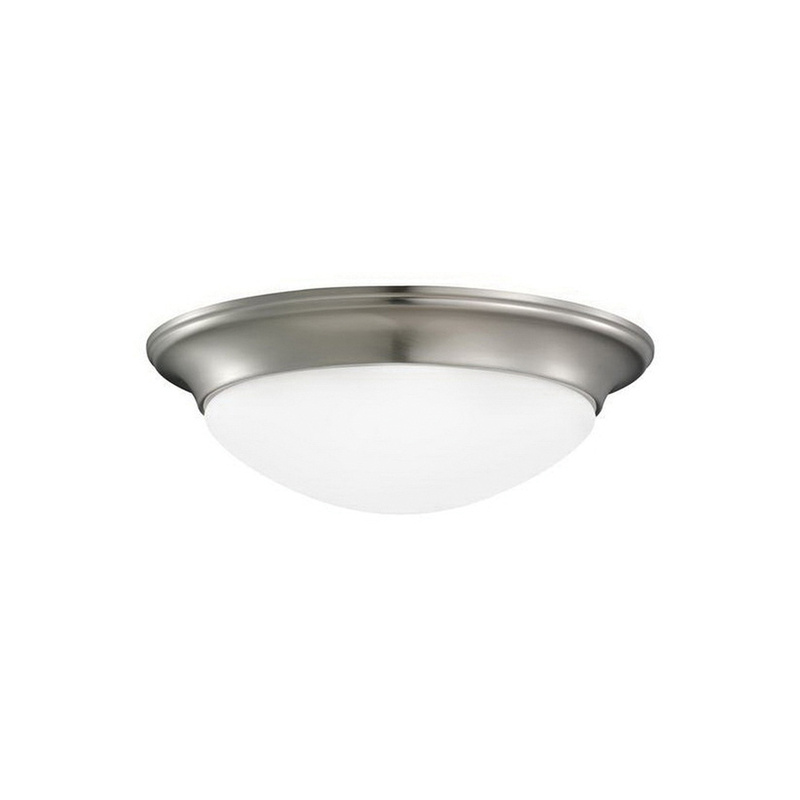 Sea Gull Lighting Nash Collection Ceiling flush mount light in brushed nickel finish, has steel body. It accommodates two 60-Watt A19 medium incandescent lamps. It has a satin etched glass diffuser of size 10-7/8-Inch Dia x 3-7/8-Inch. The transitional light includes 6.5-Inch wire. It has a dimension of 14-Inch Dia x 4-1/2-Inch. Ceiling flush mount light is cULus listed and Title 24 compliant.